I've been at it again creating some frankens. I was talking to a friend at work who said she got a bunch of polishes for Christmas and hated them so much she was going to throw them away. What even is this?? I don't understand! I tend to love all my babies no matter how temperamental or strangely colored they are. I told her I'd be happy to give them a good home and in return I'd mix her some custom colors that she could enjoy wearing. It's easy to mix things up for myself when inspiration strikes, but I really had a hard time coming up with ideas for unique polishes that didn't lean too far into my personality. I would never have thought of making this for myself, but I ended up liking it so much I mixed up an extra bottle to keep. It's appropriately named after my inspiration- Sarah. Behold the delicious gold flakies. Above are the polishes I mixed together. I started by filling my small bottle about 1/3 full of Wet n Wild, The Gold & the Beautiful. The next third is LA Colors, Dazzle. My last third is a mixture of E.L.F (sadly unnamed polish) and Wet n Wild, Gray's Anatomy. 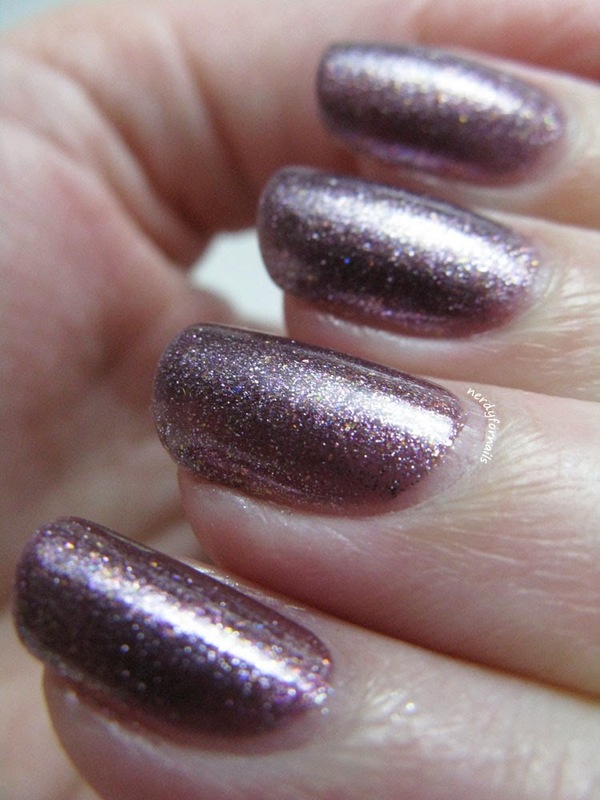 The gold flakies really give it a lot of shine and the E.L.F polish gives it some nice depth and sparkle. The formula was just a bit thick- it could probably do with a drop or two of thinner which I was too lazy to add. 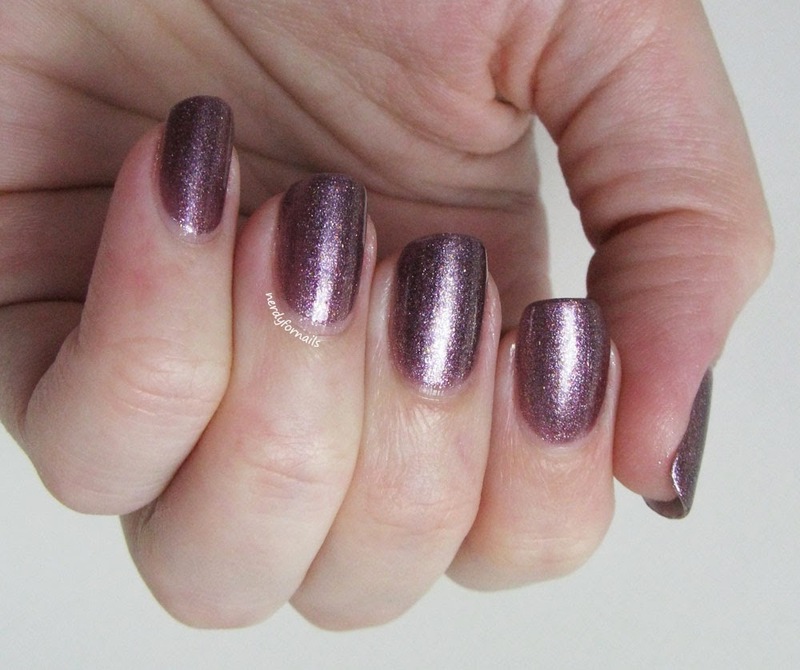 The franken polish ended up with a very foil-like finish and overall I'm pretty happy with the results. It's not a color I would normally choose because of how girly and delicate it is. I typically go for something dark or bright, but it's nice to change it up every once in a while. I wouldn't have thought to use a duo chrome polish like that. I like it! wow! this is such an amazing and unique colour! the name is so perfect for it too!